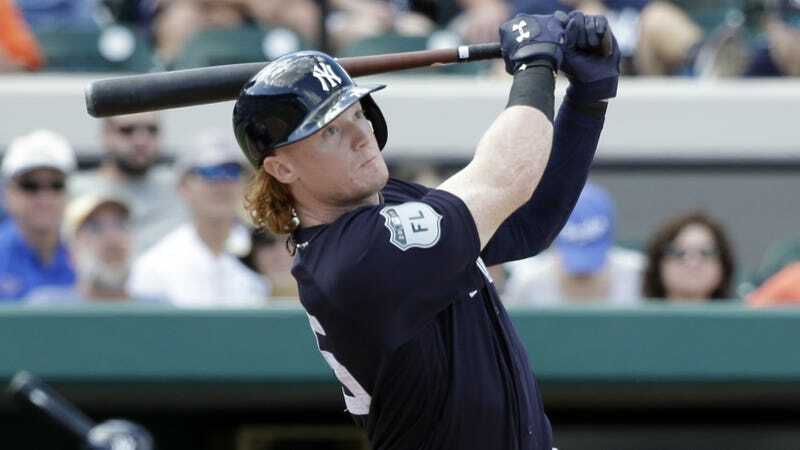 On WFAN today, Yankees radio broadcaster Suzyn Waldman told Joe Benigno and Evan Roberts that highly touted Yankees prospect Clint Frazier asked the Yankees “if they ever un-retire numbers.” As if that question wasn’t batshit enough, Waldman says Frazier wanted to wear No. 7, which once belonged to a little-known Yankees player named Mickey Mantle. Frazier’s immaturity was the subject of a handful of stories out of spring training—a good amount of that perception came from Frazier showing up at camp with his ginger locks all disorderly, which doesn’t fit the Yankee Way—but asking the Yankees if he can wear Mickey Mantle’s number is exceptional. Regarding your hope of wearing No. 7 for the Yankees, Clint, here’s your answer: No.